In this issue the history of the DWCA is discussed in A Little Perspective, featuring past President Dallas Jones, current President Lauren Davis and long-running committee member Tony Cooke. 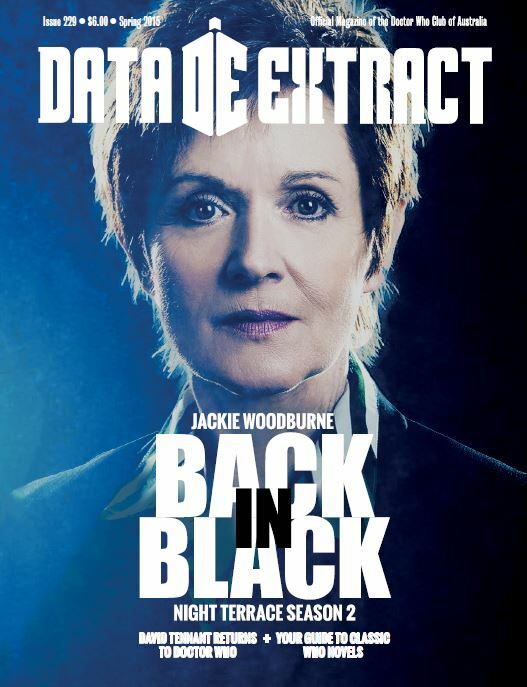 There's also an article by Jeremy Cartner on Doctor Who books, an interview with Benjamin McKenzie on his sci-fi comedy audio series Night Terrace and Part Two of Null and Void by Ashley J Tuchin. Plus the Eleanor saga continues in 1970s Paris in a new story by Craig Land.